Though the Narendra Modi government has, in the Interim Budget, allocated the highest-ever sum of over Rs 3 lakh crore for the defence sector, it would still fall short by around Rs 17,000 crore to meet the existing liabilities of purchase of new weapons and equipment and also for future needs. The liabilities are fixed installments to be paid periodically for new equipment or works and projects to be executed. 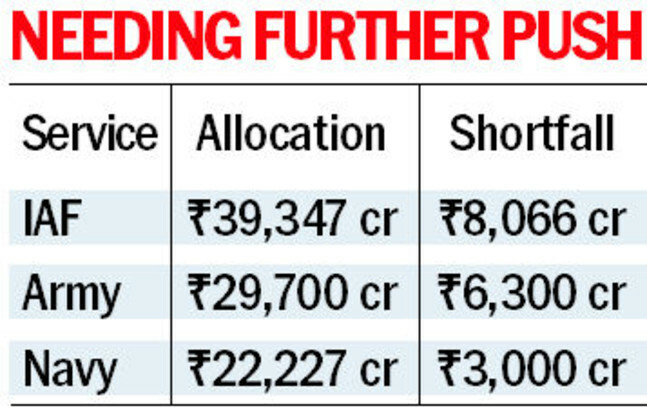 The budget, announced by interim Finance Minister Piyush Goyal on February 1, allocated a whopping Rs 1,08,248 crore as capital expenses for the 2019-20 fiscal. This is meant for new equipment, weapons, aircraft, naval warships and Army vehicles. The allocation would need to be augmented, said sources, adding Defence Minister Nirmala Sitharaman had been informed and the Finance Ministry was aware of the matter too. A hike probably would be affected once the new government was elected and full budget presented again sometime in June. The existing sum allocated for capital for the forces is some 32 per cent of the total Union Government’s capital expenditure. For the coming year, the Army needs another Rs 6,300 crore over and above its capital allocation of Rs 29,700 crore. The Navy has been allotted Rs 22,227 crore. The existing liabilities for capital acquisition alone stand at Rs 25,461 crore, a shortfall of Rs 3,000 crore. 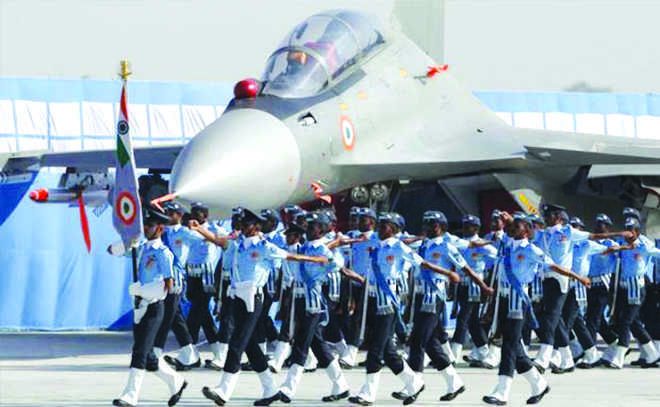 The Air Force needs Rs 47,413 crore for the forthcoming fiscal while the allocation is Rs 39,347 crore. The IAF will be paying for Rafale jets, the Chinook helicopters and also the Apache attack copters. In all, Rs 3,18,931 crore ($44.74 billion), including the capital, has been allocated to the Ministry of Defence. A sum of Rs 1,12,080 crore has been separately allocated for defence pensions. The combined budget for operations, salaries, pensions and capital stands at Rs 4,31,011 crore, which constitutes 15.5 per cent of the government’s spending. The salaries and establishment expenses and pensions continue to add a burden on the resources. The services are literally weighed down by bulging “establishment” costs—salaries and pensions. The salaries of the three services and the civilians work out to be Rs 1,19,559 crore and now form 37 per cent of the budget. The salaries and pensions, as such, take up more money than what is allocated for modernisation.